At C & L Landscape, we commit ourselves to making your vision a reality, but we also like to stay informed about the best and newest trends in the landscape industry. 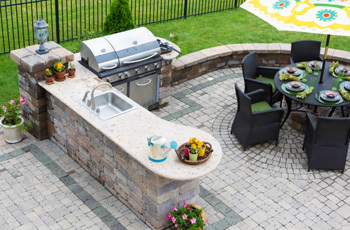 While there is no right or wrong way to create the backyard of your dreams, we’d like to talk about some trendy features that are sure to make your backyard the best on the block. 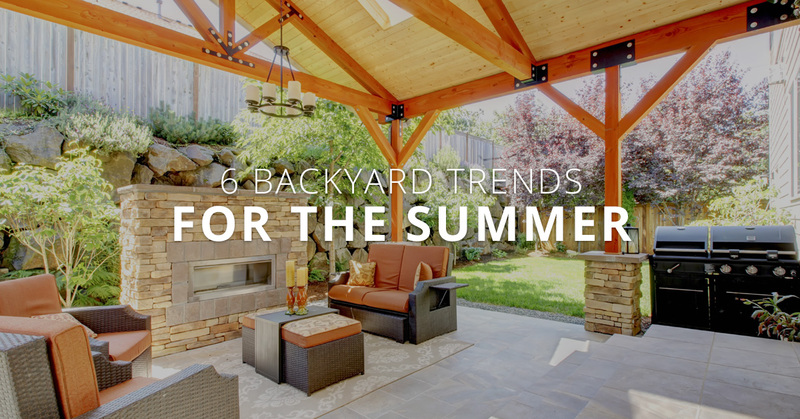 Renovating Outdoor Living Spaces: Almost any landscaping trend list you find will mention “hygge.” This is a Danish concept that centers around feeling cozy while outside, and has overtaken backyards everywhere. From the Norwegian word for “hug”, a hygge backyard has comfy couches, warm lighting, and a central firepit for families to gather around. Hygge features help to create an outdoor living space you actually want to spend time in. Full-Use Kitchens: If you’re going to be spending time in your new outdoor living space, then a full kitchen is essential. Otherwise, the chef of the family is going to be stuck inside all night. While a grill might have cut it in 2016, 2017 is the year of vamped up backyard kitchens, with full sinks and plenty of counter space. Putting Natural Back In Nature: For a while, the hip backyard trend was smooth concrete, sharp edges, and perfectly manicured lawns. 2017 is bringing a more natural look, with mixed materials, such as pebble pathways, cobblestone patios, and natural wood decks. There is also a trend moving away from large expanses of sprawling grass, and towards a more cottage-garden vibe, with sustainable plants and shrubbery, winding pathways, and natural water features. Garden Greenery: Pantone recently released it’s 2017 “Color Of The Year” – and to the relief of landscapers everywhere, it was a shade of grassy green. This green trend is moving into the backyards of homeowners everywhere who are opting for hedges, bushes, plants, and shrubbery that are overwhelmingly green. The key to a beautiful green backyard is in varying textures and sizes of the green plants for an un-uniform look. Plants With Purpose: Eco-conscious homeowners are moving towards shrubbery that is both drought-friendly and bee-friendly. While years ago homeowners may have called an exterminator at the site of a bee-filled garden, with declining bee populations, homeowners are now opting for plants and flowers that actually attract and help sustain bee populations. Backyard Food Source: More and more people embarking on starting their own gardens in their backyards. This is another reason turf grass is out for 2017 – to make way for sustainable gardens that bear fruit, vegetable, and herbs. Other homeowners are also raising chickens in their backyards, which again adds to the natural feel we’re seeing in modern backyards. Whether you’re looking to get rid of the grass and add green shrubbery, renovate your outdoor living space for optimum comfort and coziness, and simply need help getting a garden started, C & L Landscape can make your Jacksonville backyard the hippest on the block. Contact us today and tell us how we can help you!